The Deadman Summer Season will begin at approximately 10pm GMT on Saturday 30th March (though the time is dependent on the finishing time of the Spring Finals!). 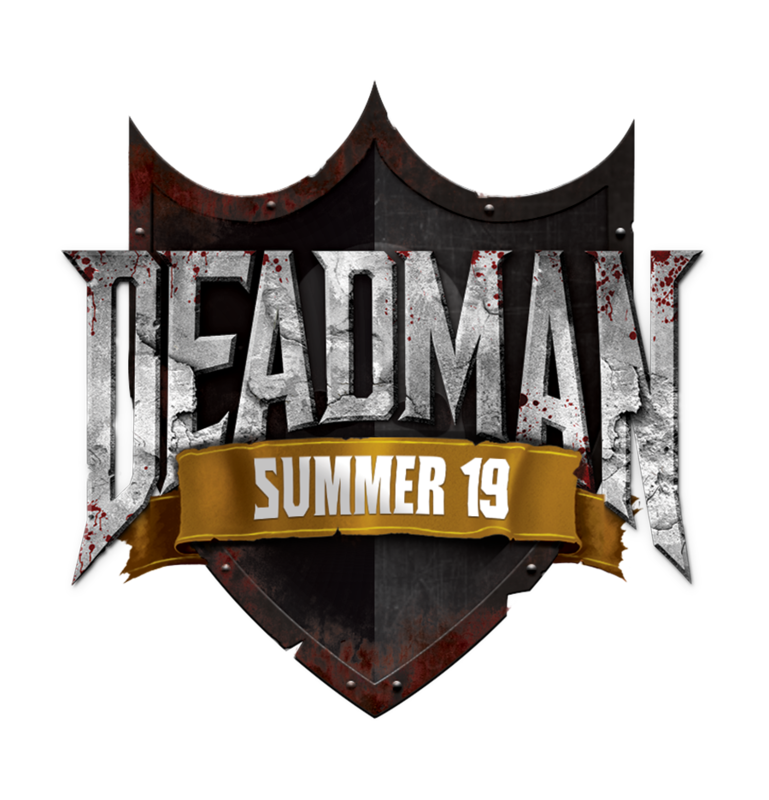 The Season will run until Thursday 2nd May, and we'll invite the top players to compete in the Deadman Summer Finals, details of which will be communicated at a later date. Anybody can play in the Summer Season, all you need to compete is Membership! If you're not competing, make sure you tune in to follow the action throughout the course of the Season on the Old School RuneScape Twitch directory. The purpose of this section is to detail any major changes from the previous season, the Deadman Spring Season. The Ancient Warriors armours are not available in-game. The weapons remain in-game as they did in the Spring Finals and are detailed in the below "Deadman Drops & Resources" section. Dragon limbs are now 4 times more common to drop from Rune Dragons. The Revenant caves can now be entered. The revenants themselves can drop; Revenant ether, Bracelet of ethereum, Ancient crystal, Viggora's chainmace, Craw's bow, Thammaron's sceptre and the Amulet of Avarice. All other Revenant drops have been removed entirely. This does not impact the drop rate of the uniques. Swapping, which has previously been prohibited, is again allowed. Barrows armours and weapons will become available from Barrows chests on day 7 of the Season. Verac's flail will be available in the Season. Ancient Magicks will become available on day 14 of the Season. The Looting bag will now allow players to put items into it (in either its open or closed form) in any location outside of safe zones. All existing Looting bag functionality remains as it does within the Wilderness. The way Magic defence bonuses are calculated from your Magic level has been adjusted in order to reduce splashing with spells in the Season. The daily experience cap has been changed. The new daily XP caps work as follows; 525k XP in Defence, 700k XP in Ranged, 1050k XP in Magic OR 1050k XP per day in Attack and Strength (averaged). Robin hood hat, Ranger boots, 3rd age full helmet, 3rd age platebody, 3rd age platelegs, 3rd age kiteshield, 3rd age mage hat, 3rd age robe top, 3rd age robe, 3rd age range coif, 3rd age range top, 3rd age range legs, 3rd age vambraces, Dragon full helm, Dragon kiteshield, Dragon platebody, Dragon platelegs, Dragon plateskirt, Gilded full helm, Gilded platebody, Gilded platelegs, Rangers' tunic, Abyssal whip, Amulet of fury, Berserker ring, Seers ring, Archers ring, Dragon battleaxe, Dragon halberd and Dark bow. High level guards patrol major towns across the map keeping them safe. If they spot a player with a PK skull they will attack them. The map below is an approximation of the map changes within Deadman Mode. The areas highlighted in green on the map to left are the safe areas. The areas highlighted in red on the map to left are multi-way combat areas. There is a combat XP cap of 525k per day in Defence, a cap of 700k XP in Ranged, a cap of 1050k XP in Magic OR a cap of 1050k XP per day in Attack and Strength (averaged). Each day resets/begins at 00:00 UTC. This XP cap is cumulative e.g. if a player hadn't earned any combat XP by day 4 they would be able to gain 4 days worth of XP. Hitpoints XP will only be gained alongside combat XP. 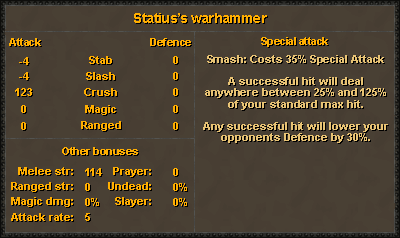 Once your daily combat XP cap is reached, you'll no longer gain Hitpoints XP. Hitpoints XP does not count towards the daily cap. For example: If you gained 200k Defence XP then you would only be able to gain another 300k XP in Ranged before you can no longer gain any combat XP. XP gained from the rebuild XP rates (detailed below) is exempt from the daily cap. XP gained from Quests and Achievement Diary Lamps is also exempt from the daily cap. Players will have the ability to lock (and unlock) xp gain in specific skills. The XP rate when training non-combat skills in a guarded area is 5x. The XP rate when training combat skills in a guarded area is 10x. The XP rate when training combat skills in an unguarded (dangerous) area is 15x. The XP rate when training non-combat skills in an unguarded (dangerous) area is 10x. The standard skull timer for attacking a player is 15 minutes. There is a 1 minute grace period for reasonable kills. This grace period will be a temporary status of immunity from the attacks of other players. A reasonable kill can be defined as killing a player within 30 combat levels of yourself. If killing a combat level higher than yourself you will always receive this grace period of immunity (e.g. a level 90 killing a level 126 will receive the grace period). The grace period will be lost upon logging out. If you die or attack another player within this minute then you will lose the remaining grace period. If you teleport you will lose the grace period. Skulled players who are killed by another player will lose XP dependent on the combat level of the player killing you. You can insure your HP level by talking to Gelin, found in Lumbridge graveyard. You'll permanently be able to protect your HP at level 25, level 50, and level 75. If you die to another player you will lose the 10 most valuable stacks of items from your bank, along with all items you have equipped or in your inventory. For items lost on death, you will only lose 80% of an item's stack. This applies only to stacks of 5 or more. For example: if you had 4 Abyssal whips, you'd lose them all. If you had 5 Abyssal whips, you'd lose only 4 of them. If you manage to kill a player in Deadman mode you will receive a key drop. This key will give you access to chests found within safe arenas that, when opened, will allow you to take the 10 most valuable stacks of items from the bank of the player you killed. You are able to protect up to 10 of your items by talking to Financial Wizards found within banks in safe zones. When you give him 10 items they are securely stored within a Safe Deposit Box. When killed you will not lose these items. You can only place single items within the Safe Deposit Box, and not stacks of items (for example, 10 Rune arrows will count as 10 items). There will be a period of 30 minutes immunity for all new players in the Summer Season. After one week a period of immunity which lasts for 6 hours will unlock for players yet to log into the Deadman Seasonal server (This will unlock on Saturday 6th April at 00:00 GMT). Whilst this period of immunity/protection is active, players will get double the amout of XP to normal. The following quests will be automatically completed: Animal Magnetism, Death Plateau, Dragon Slayer, Heroes' Quest, The Lost Tribe, Monkey Madness, and the first stage of Recipe for Disaster. The following quests which are a requirement for these quests will also be completed: Cook's Assistant, Priest in Peril, Ernest the Chicken, Restless Ghost, Animal Magnetism, The Grand Tree, Tree Gnome Village, Monkey Madness, Goblin Diplomacy, Rune Mysteries, Lost Tribe, Death Plateau, Shield of Arrav, Lost City, Merlin's Crystal, Druidic Ritual (and level 3 herblore), Heroes' Quest, Recipe for Disaster: Another Cook's Quest (Part 1 which unlocks the chest). It will not be possible to gain the XP you would normally receive for completing these quests. The following quests will automatically complete after one week: The Fremennik Trials, The Fremennik Isles, Horror From The Deep, King's Ransom, Black Knights' Fortress, Holy Grail, Murder Mystery, One Small Favour, Shilo Village and Jungle Potion. Desert Treasure will automatically complete after two weeks (This will unlock on Saturday 13th April at 00:00 GMT). Completion of the first stage of Recipe for Disaster (before any of the sub-quests) will allow you to have full access to the chest in the cellar of Lumbridge Castle. Once the quest unlock has occurred (see above) all God books will be obtainable in their completed form upon completion of Horror From The Deep. All Zeah House favour is set to 100%. The Architectural Alliance miniquest is also completed, meaning favour is locked. NPCs killed in the Wilderness have a chance to roll on a new global Wilderness loot table. The chance is relative to the combat level of the NPC, meaning the higher the combat level the greater the chance of hitting the global Wilderness loot table. If you're fortunate enough to hit this loot table you'll be rewarded with some of the most powerful weapons to be found in-game, known as the Ancient Warriors equipment. 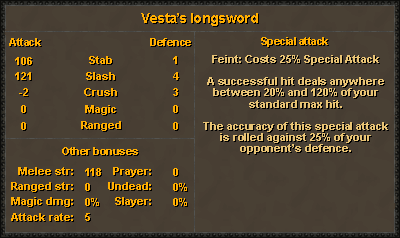 Vesta's longsword requires 78 Attack to equip and is one-handed. 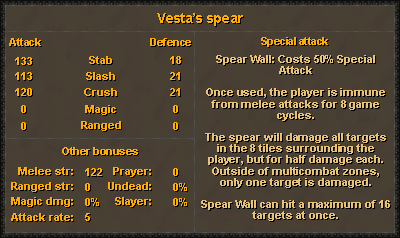 Vesta's spear requires 78 Attack to equip and is two-handed. Statius's warhammer requires 78 Attack to equip and is one-handed. 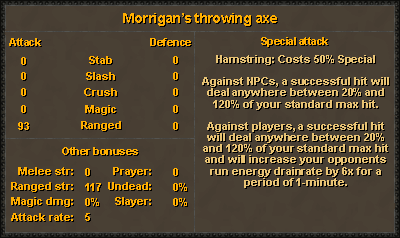 Morrigan's throwing axes require 78 Ranged to equip and are one-handed. The amunition saving effect of Ava's devices do not work with the axes. 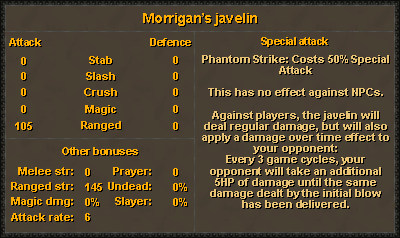 Morrigan's javelins require 78 Ranged to equip and are one-handed. The amunition saving effect of Ava's devices do not work with the javelins. 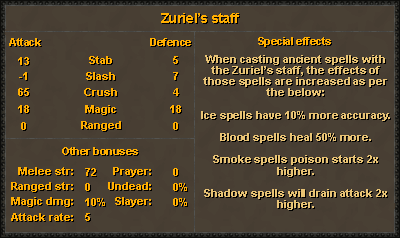 Zureil's staff requires 78 Magic to equip and is one-handed. The drop rate of each defender, including the Dragon defender, is increased to 1 in 25. Every NPC in-game will have a chance at landing on an additional global Deadman loot table that contains highly sought-after supplies. The chance is determined by the combat level of the NPC. Bosses will have an increased chance of hitting this table and Superior Slayer Creatures will have a guaranteed chance. In Barrows there is a chance to obtain potions and potion ingredients. For potions, there is a 1/2 chance of gaining a stack of 3 (4)-dose potions when you would roll on the Barrows armour table (Note: Barrows weapons and armour are restricted and you will not receive these as rewards. See below in the Restricted Content section). You will receive either Saradomin brews, Super restores, Ranging potions, or Super combat potions. There is a small chance of obtaining potion ingredients on the normal Barrows table. Note, due to limitations of the Barrows interface it's possible that any items gained may instead appear in your inventory or on the floor. It is possible to receive the following: Crushed nests, Red spiders' eggs, Wine of Zamorak, Limpwurt roots, White berries, or Grimy torstol. Dragons now drop double the amount of bones. 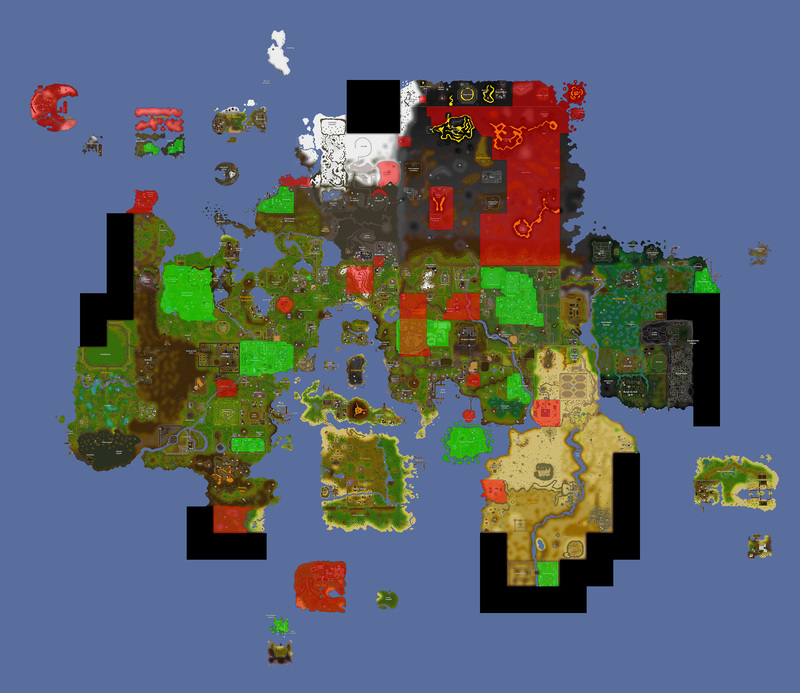 Tuna, Lobster, Swordfish, Shark, Karambwan, Dark crab, and Anglerfish fishing spots will yield 3x the amount of fish resources. All random unnoted herb drops from NPCs are now doubled. The Giant mole will now drop double the amount of Claws and Hides. The Tome of Fire droprate has been increased by x10. The following drops are four times more common: Abyssal whip, Leaf-bladed battleaxe, Dragon plateskirt, Dragon platelegs, Draconic visage, Imbued heart, all Malediction shards, all Odium shards, all Godsword blades, all unique Godsword hilts, Zamorak spear, Staff of the dead, Armadyl helmet, Armadyl chestplate, Armadyl chainskirt, Armadyl crossbow, Saradomin sword, Saradomin light, Bandos chestplate, Bandos tassets, and Bandos boots. The droprate of emblems from Wilderness bosses and Wilderness Slayer has been increased further. They're now 4 times more common in the Finals when compared to regular droprates. Seasonal starter packs have been added. They are reclaimable once per day, are untradeable, and cannot be used in PvP. Each pack contains access to: a Staff which comes charged with the equivalent of 500 Fire strikes, a Bow which is charged with the equivalent of 2000 bronze arrows, and a Scimitar wieldable from level 1 Attack but is the equivalent to a Mithril scimitar. Each pack contains 1 Combat potion, and 12 Cooked tuna (these are tradeable). These packs can be claimed from the Combat tutors in Lumbridge. Teleblock will now last for 150 seconds, or for 75 seconds with Protect from Magic active. Rune and arrow shops now contain a much greater variety of runes and arrows, respectively. The restocking speed of the stores has also been substantially increased. All rune and arrow shops restock at a much faster rate. Fletching & Crafting supply stores will also restock at a faster rate. Lower tier equipment will restock faster than higher tier equipment, for example: an air rune will restock faster than a death rune. Changes remain in place to prevent door spamming. We received reports that specific areas were still troubled by issues of door spamming. Pyramid tops, found atop the Agility Pyramid, will turn to cash upon death. A safety deposit box can be found in both banks within the Grand Tree. Turael will not assign Kalphite tasks. An NPC has been added to Lumbridge who will allow you to teleport to either Falador, Varrock, Seers Village, Ardougne or Tree Gnome Stronghold once per day. Lava dragons have been removed from the Wilderness Slayer tasklist. Players will have the ability to lock (and unlock) XP gain. This is toggled by talking to Nigel in Lumbridge. Emblems give double the amount of points when traded in to the Emblem Trader. Ancient Magicks will not be usable until after two weeks. Raids, Zulrah, the new Wilderness Prayer altar, and Lava dragons are inaccessible for the entire Season. The Crystal shield is disabled. Those of you who complete Roving Elves will only be able to purchase either a Crystal bow or a Crystal halberd. The following mini-games are disabled: Duel Arena, Castle Wars, Trouble Brewing, Fight Pits, Rat Pits, Pest Control, and Last man Standing. Barrows equipment (weapons and armour) is restricted. Barrows as a minigame can be accessed, but will not reward you with equipment (see the section on Barrows above). The Event RPG has been removed. The nature rune chest in East Ardougne is inaccessible. Count Check will not be able to teleport players to the Stronghold of Security. Pickpocketing in safe areas will yield no loot at all. All existing RuneScape rules must be abided by during the Deadman Finals. All existing Deadman Tournament Terms must be abided by during the Deadman Finals. Using combat with an allied player within Deadman Seasons/Finals is considered to be using a game mechanic to gain an unfair advantage. During the Season it will be met with a 3 day ban. Repeated instances will result in disqualification from the Finals. During the Finals it will be met with disqualification. The act of muling during the Summer Season is prohibited, and is a bannable offence.